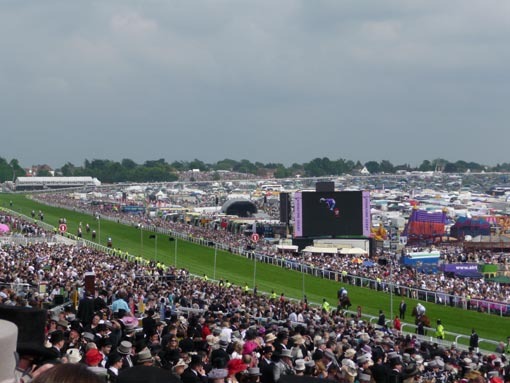 We had the most fantastic weekend, travelling to Epsom on the Friday to see the Mr. Oxx trained Katiyra finish 3rd in the Epsom Oaks. We would like to thank Brough and his wife Suzie for a lovely evening at their wonderful home. 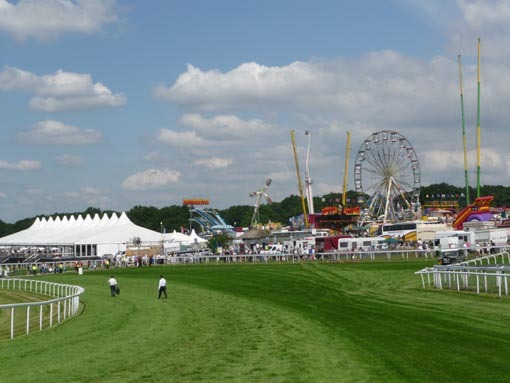 Back in Epsom on the Saturday, we witnessed one of the potentially great Derby winners. New Approach (Galileo - Park Express, bred by Paddy Burns in Co Kilkenny, trained by Jim Bolger), Champion Two Year Old of 2007, runner-up in the English and Irish 2000 Guineas, put up a great performance to beat the Ballymacoll bred Tartan Bearer. 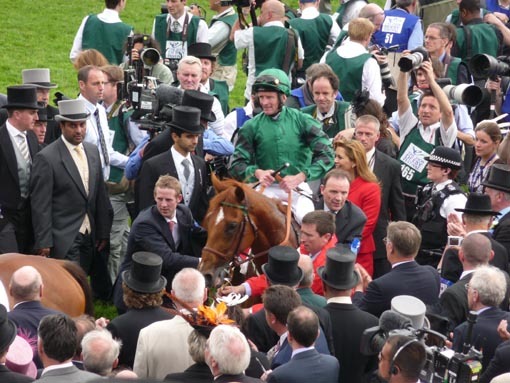 This was the best result for racing, as Sheik Mohammed has been searching for a Derby winner for a very long time! 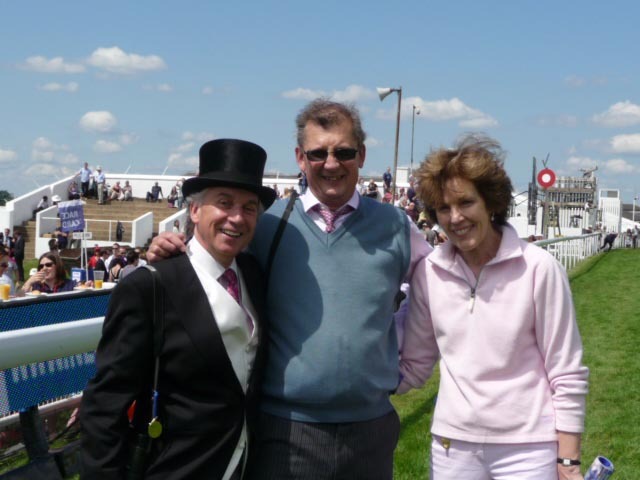 New Approach was a gift to his lovely wife Haya, who is a great ambassador for the sport we all love. 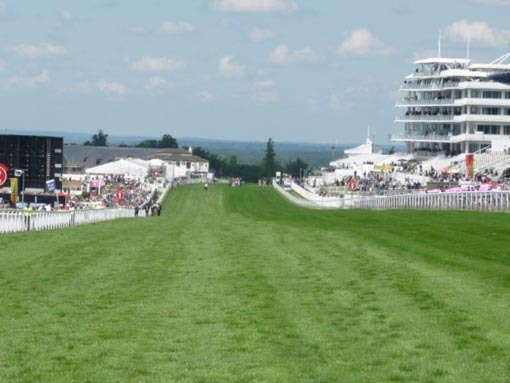 The home straight and impressions of Derby Day at Epsom Downs. As you can see, all the important people are there! Be assured, only when walking the track, one appreciates how true a test this is for any horse. Uphills and downhills, sharp turns, camber switching from inside to outside and the steep uphill finish, only the really balanced, adaptable and speedy horse can deal with all of these difficulties. Not to mention the crowds, the noise and all the various other distractions they have to put up with on this day. 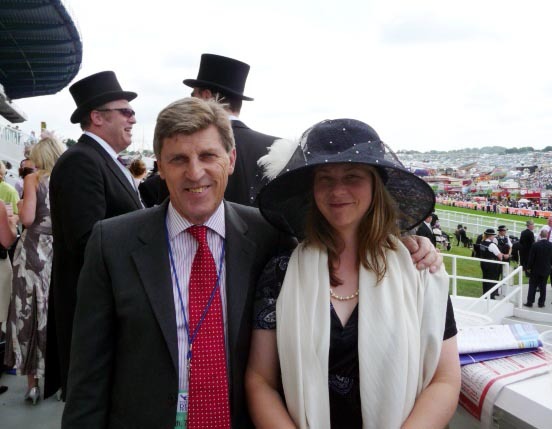 As Tesio rightly said many years ago, this is the true test for a real Thoroughbred Champion. In New Approach, we have definately seen one!